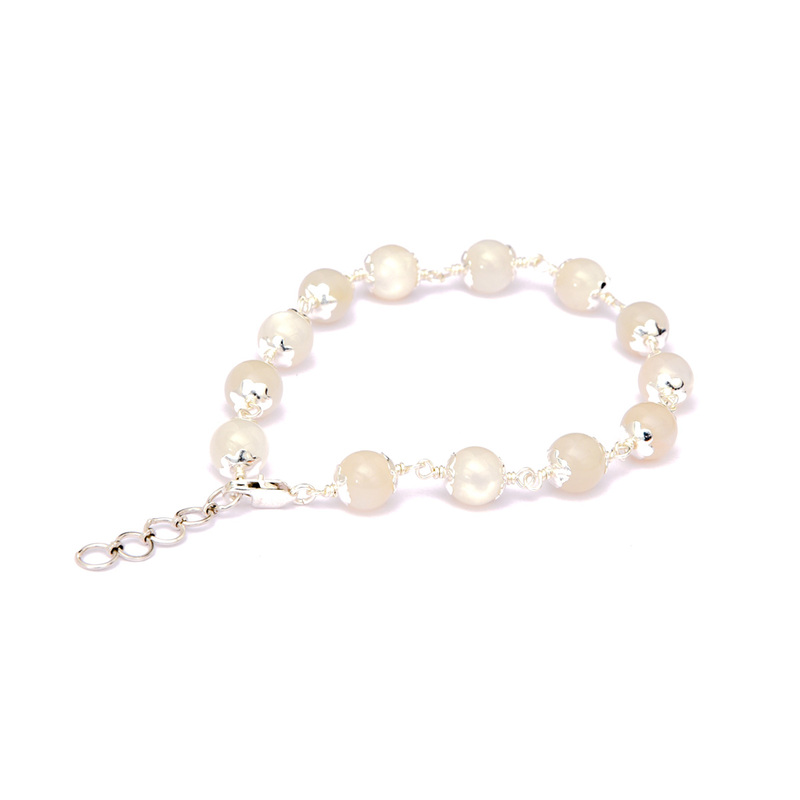 Made of natural moonstone, this bracelet consists of 13 round silver capped beads that are 8 mm in size all strung elegantly on silver wire. Moonstones exhibit beautiful and elegant and shimmering color play effect, which makes the stone seem to be glowing from the inside out. Moonstone enhances intuition and creativity. This stone brings peace. Use this japa mala for your practice of mantra repetition. As you move each bead of this japa mala between your fingers with the power of the mantra, allow moonbeams to illumine and calm your mind.